Are these good cases for reloading ? I met a guy that had 10 boxes of 50 each once fired and I bought them for $10.00 for all 10 boxes = 500 cases. 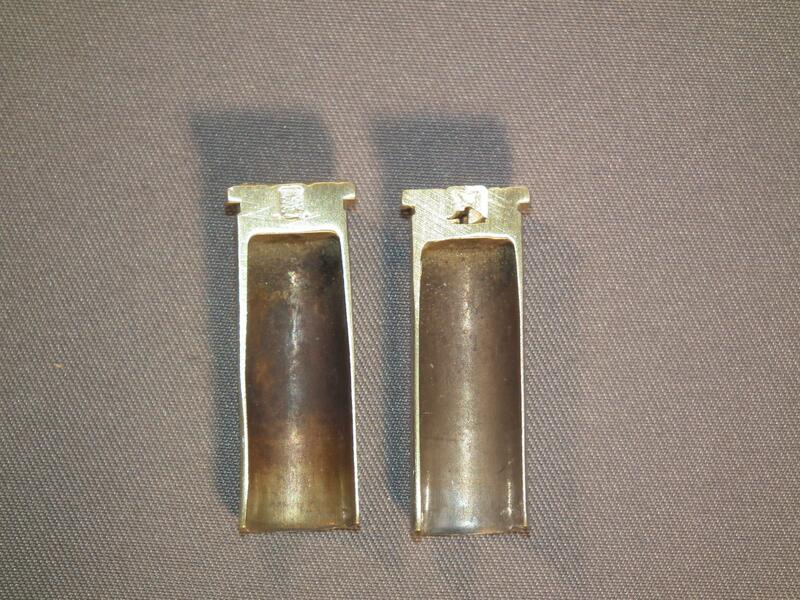 Assuming we are talking about Remington's wadcutter brass (2 cannelures at about mid-case), you did REAL good. This is the brass you want for wadcutter loads. is there anything specila about reloading these cases ? Why do they have a double cannelure ? Interior spec's are different. The interior taper with regular brass takes place at mid-case, while with wadcutter brass it takes place further down towards the web area of the brass. When seating the long HBWC's, regular brass will sometimes result in a bulge in the case, whereas wadcutter brass will not. Can someone please supply a part number for these double cannalure cases ? Part number? You can't buy just the brass, you've got to buy wadcutter ammo to get the brass. There is nothing at Midway to buy just brass. However you don't need the double cannalure case to get good wadcutter loads. Straight walled Starline work great with Magnus HBWC. I checked the Magnus website, and their bullets are sized to .357". The Remington HBWC's which are almost universally recognized as the most accurate HBWC's are sized .360". My cast HBWC's are currently sized to .359", and I just ordered a .360" sizer that I will use soon. However, I have heard that the Starline brass is good for wadcutters. There was a guy who actually did all the work of cutting and measuring case walls on a lot of different brass. The link escapes me now, but what he found was that 38 Special brass from "wadcutter" ammo was no different than non-wadcutter ammo. Some +P cases did have a different internal taper, but this seemed to be below the skirt of a factory wadcutter bullet. 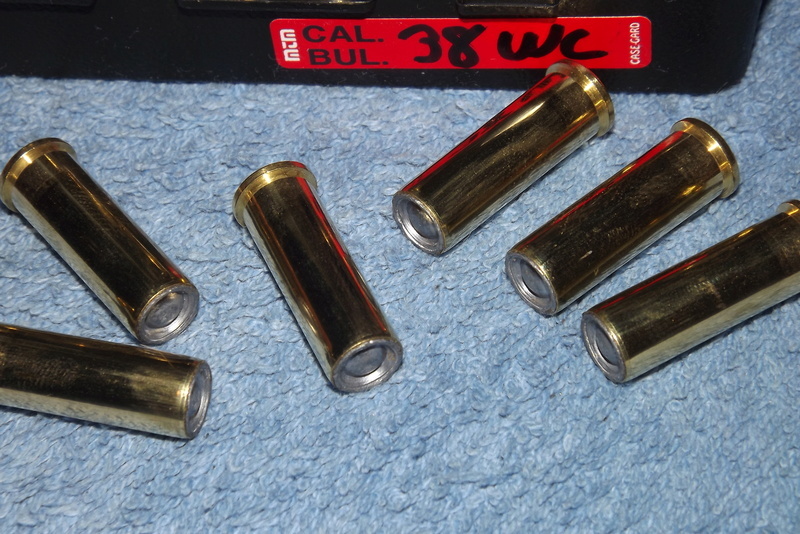 Case wall thickness varied over time so there is that to worry about but it isn't restricted to non-wadcutter ammo. So this notion that wadcutter brass exists is pretty much nonsense. Some prefer Remington, some prefer Federal, and some prefer Winchester. I do know that some brass is thicker as it takes more oomph to size it. So it pays here to sort your brass. And don't use stuff that takes oomph to size it. Wobbley wrote: ... this notion that wadcutter brass exists is pretty much nonsense. Sorry, Wobbley, but you are most definitely wrong. I have personally loaded .359" HBWC's in non-wadcutter brass and many times get the "bulge" in the middle of the brass that I never get using wadcutter brass. I believe if you talk to Bullseye shooters they will tell you this as well. I tend to agree with Wobbley as regards .38 special cases CURRENTLY manufactured. they are the same. In days gone by there was a difference apparently. Here is a pic showing the obvious difference.